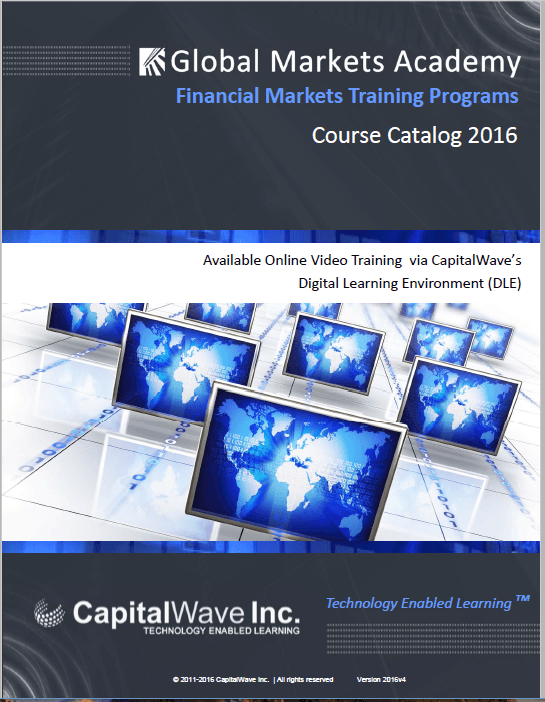 Online Video Training | CapitalWave Inc. The Global Markets Academy offers programs, delivered online to staff globally. Never again do you have to worry about geographically dispersed staff. Our adoption of this MOOC learning-framework provides clients expansive abilities to deliver high quality training while focusing on reducing training costs. Our Digital Learning Environment is both scalable and responsive to all types of client training.